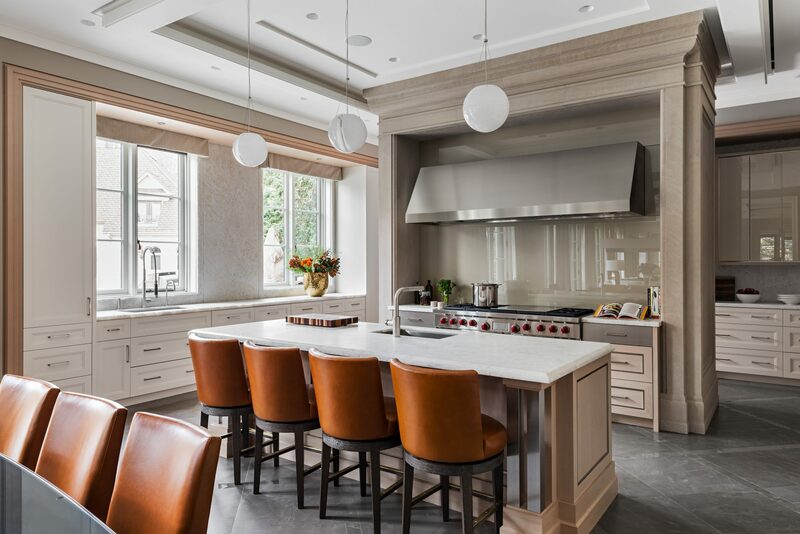 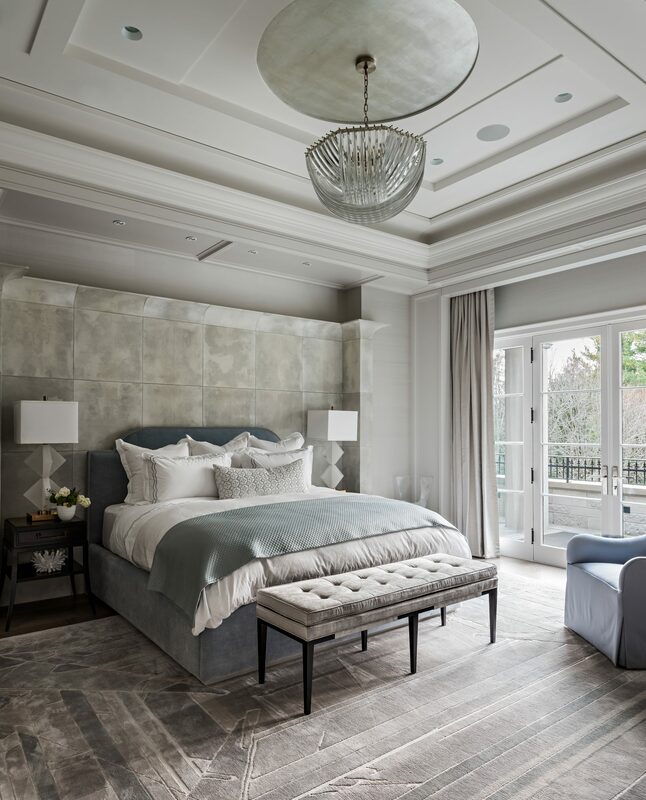 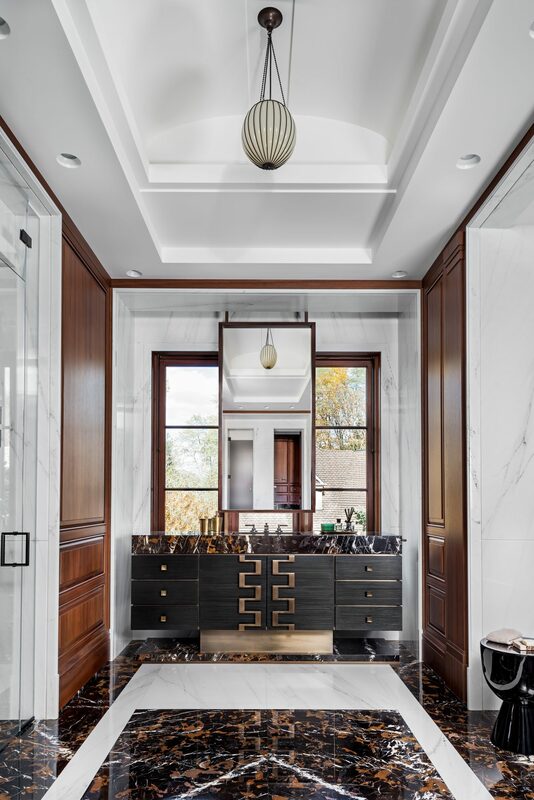 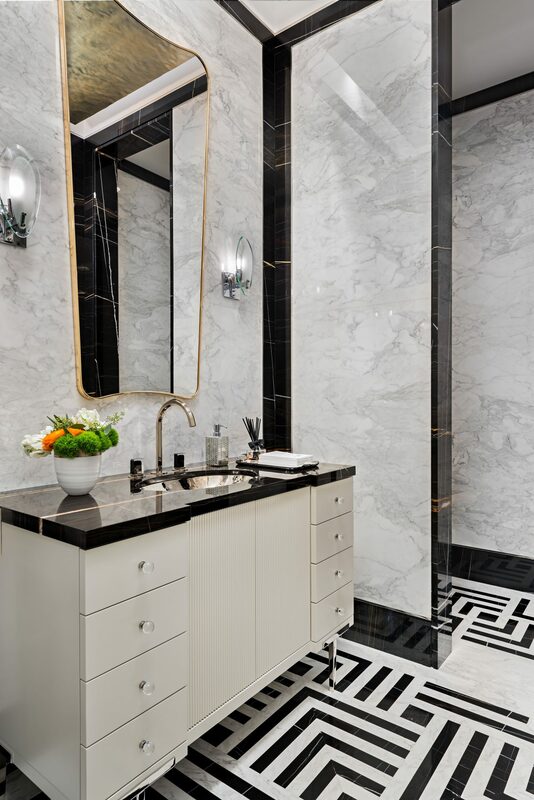 Streamlined, classically-inspired details flourish alongside modern elements in this elegant country residence located in a charming acreage just north of Toronto. 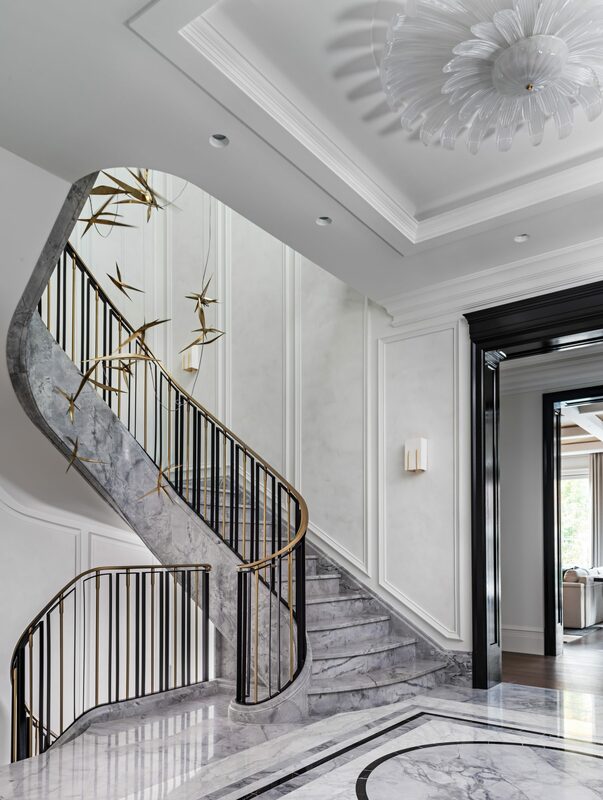 Showcased in the stately home is extensive marble detailing, including slab staircase fashioned with a custom bronze handrail, a mingling of rich walnut, makassar, and figured sycamore panelling as well as unique furniture pieces punctuated throughout. 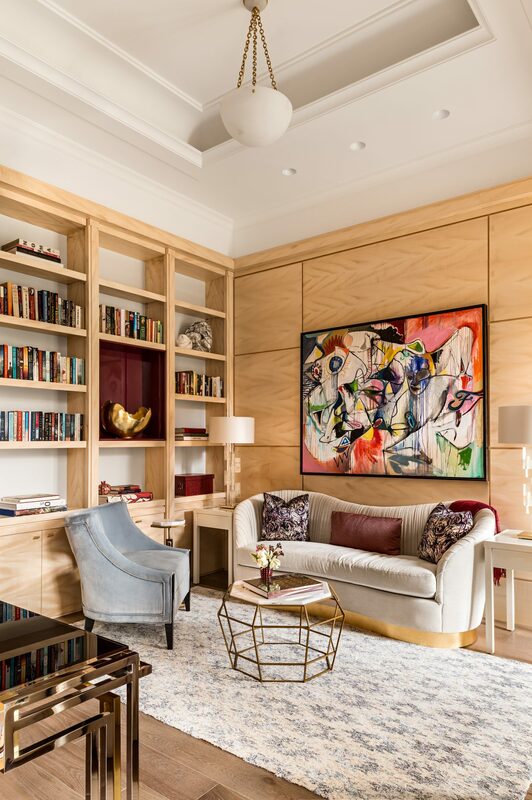 Spacious communal areas, including family, living, garden and dining rooms are ideal for this established empty nester couple, who cherish entertaining for their large network of family and friends. 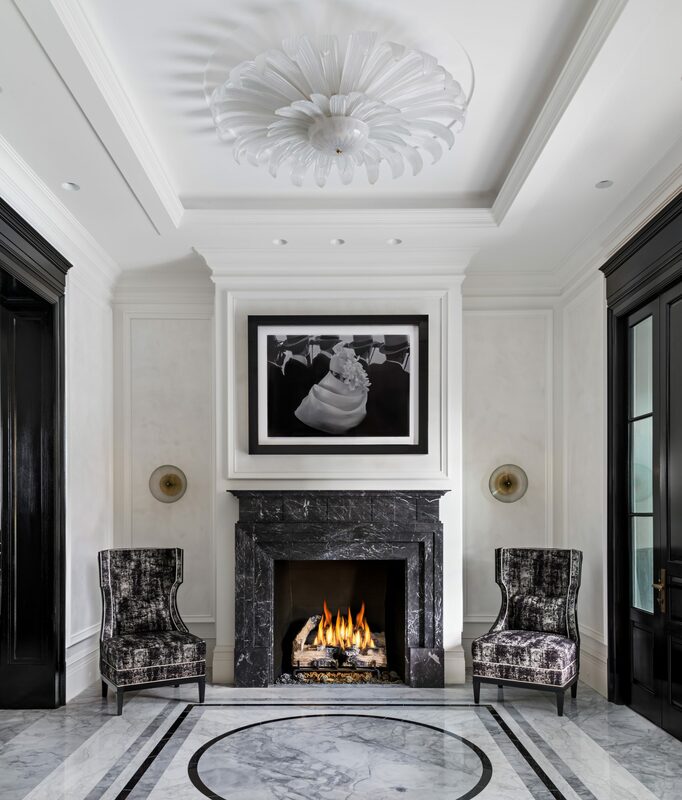 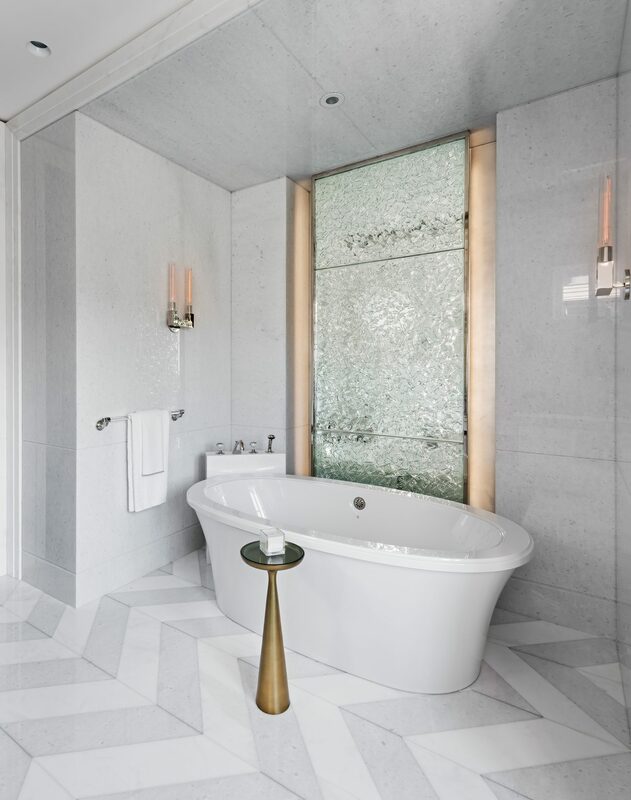 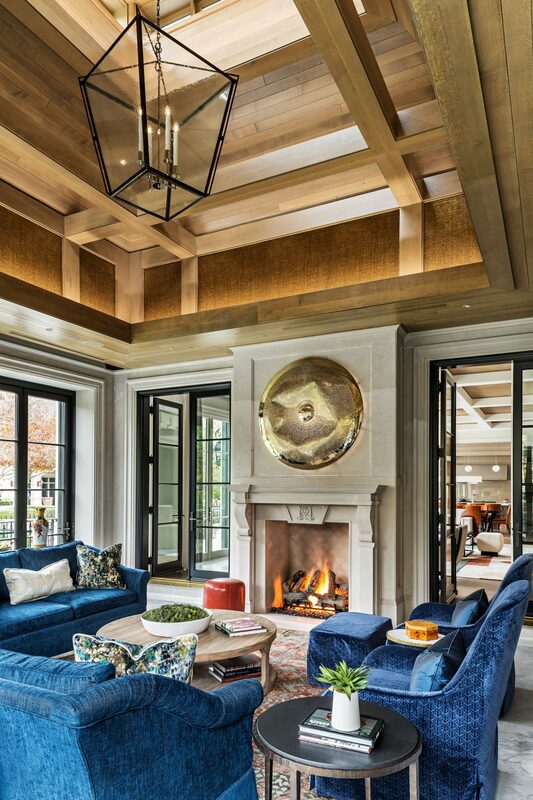 Murano light fixtures, Persian rugs and artisan carved limestone fireplaces enhance the upscale, yet highly livable feel.